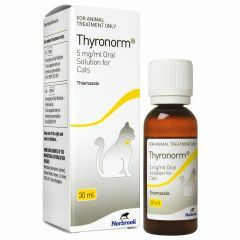 Thyronorm 5mg/ml Oral Solution for Cats is indicated for the stabilisation of hyperthyroidism in cats prior to surgical thyroidectomy. 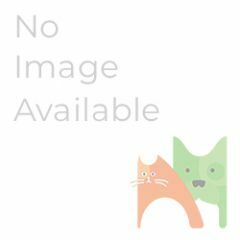 For the long term treatment of feline hyperthyroidism. 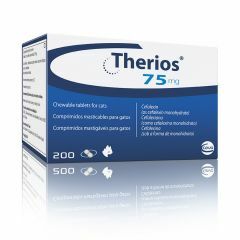 Therios 75mg Chewable Tablets for Cats are for the treatment of bacterial skin infections. 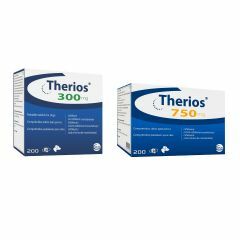 Therios PalatableTablets for Dogs are for the treatment of bacterial skin infections. 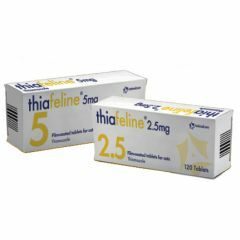 Thiafeline is used for the stabilisation of hyperthyroidism in cats prior to surgical thyroidectomy. It is also used for the long-term treatment of feline hyperthyroidism. 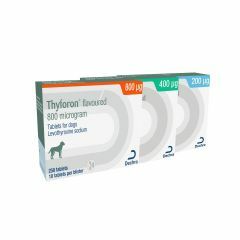 Thyforon (Forthyron) Tablets are indicated for the long term treatment of hypothyroidism in dogs. Available in 0.2mg, 0.4mg and 0.8mg strengths. Please select the strength and enter number of tablets that are written on your prescription. Trifexis is a flavoured, chewable tablet for dogs which kills fleas, treats and protects against three kinds of dangerous internal parasites. 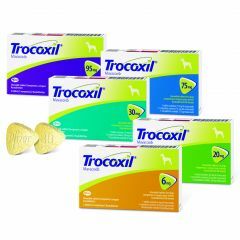 Trocoxil Chewable Tablets are for the treatment of pain and inflammation associated with degenerative joint disease in dogs aged 12 months or more in cases where continuous treatment exceeding one month is indicated. 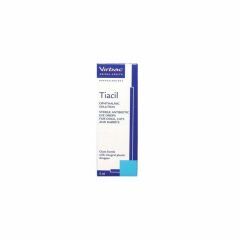 Tiacil Ophthalmic Solution is a gentamicin based eye drop solution used for the treatment of eye infections in dogs, cats and rabbits. 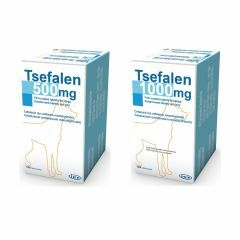 Tsefalen Film-coated Tablets for dogs are for the treatment of infections of the respiratory system, urogenital system and skin, localised infections in soft tissue and gastrointestinal infections caused by cefalexin-sensitive bacteria. 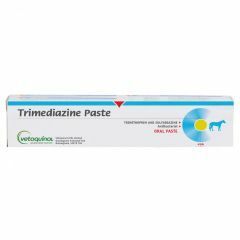 Terramycin Aerosol is indicated for the treatment and control of topical infections in cattle and sheep.